I visited True Spirits yesterday and happened upon The Barrel Man, Kevin Sanders from Jack Daniel’s. 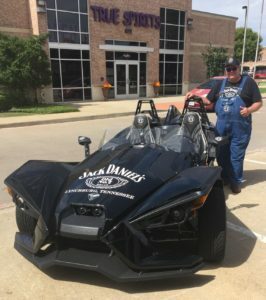 He was on a tour in his customized Polaris Slingshot and had made a stop at the store to sign bottles and shake hands. 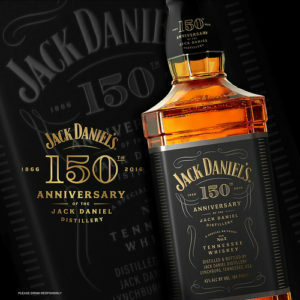 After shaking his hand and watching him sign a few bottles, he handed me a free, signed bottle of Jack Daniel’s 150th Anniversary Commemorative Special Edition of Old No. 7 Tennessee Whiskey. 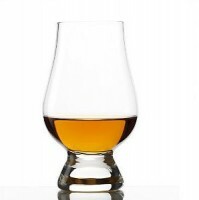 According to Sanders, this edition is aged in toasted oak (as opposed to charred oak) and bottled at 86º instead of the normal 80º for Old No. 7. He then sent Greg True (proprietor of True Spirits) and I for a spin in his Slingshot and allowed me to take the picture above when we returned. This was a lot more than I bargained for with my visit and a welcome break before returning to work after lunch. Posted in Whiskey. Tagged Jack Daniels, Tennessee Whiskey.